Head out on to the battlefield prepared for anything. 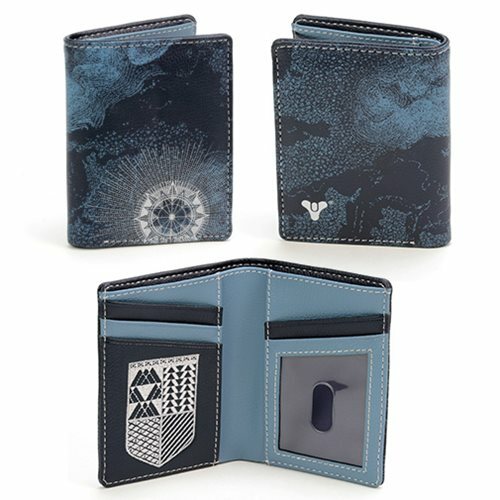 This Destiny Starmap Wallet is made of faux leather with a Destiny starmap print. The wallet measures approximately 4 1/2-inches long x 2 3/4-inches wide.